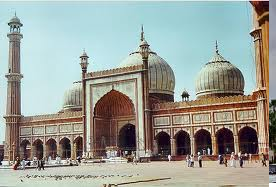 The Muslims made advances in the area of architecture, calligraphy and visual arts related to decorations and patterns.. 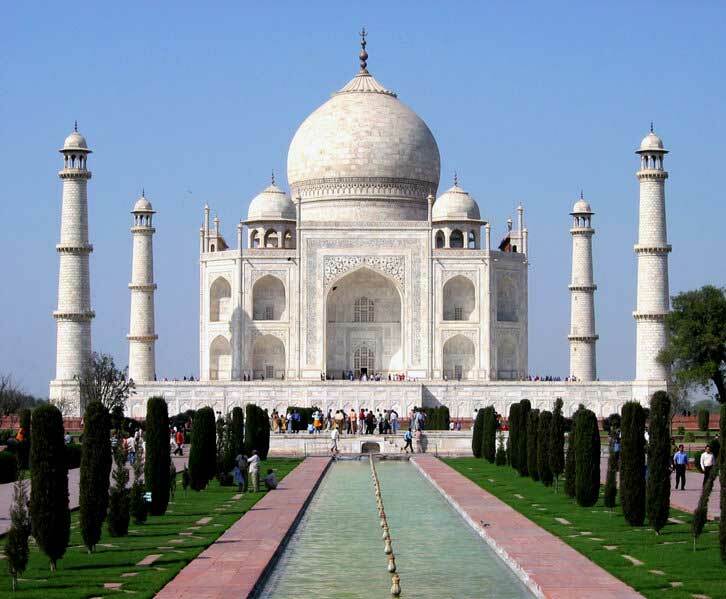 The main areas of development in architecture were the construction of dome based mosques with minarets, madrassas, gardens and redesign of the interior of houses to reflect an Islamic way of life. 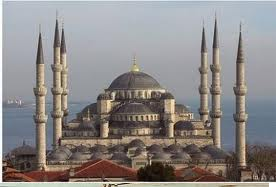 The mosque, with its minarets, is perhaps that most famous symbol of Islamic architecture. 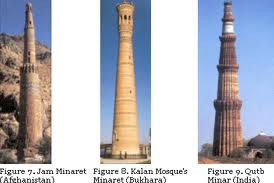 The minaret was not used in the pre-Islamic Arab societies, nor used during the time of the Messenger of Allah (Peace Be Upon Him) or the first four Khulafa'. However, as the population of Madinah grew it became difficult for the muezzin to reach all the people from a rooftop of a house. 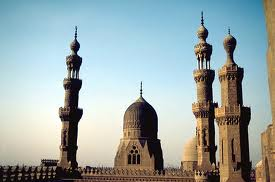 So the need to extend the sound of the adhan led to the development of the minarets. Thus, in 709 CE/91 AH Khaleefah 'Umar ibn 'Abdul 'Aziz commissioned the construction of four minarets on the four comers of the Prophet's Mosque. 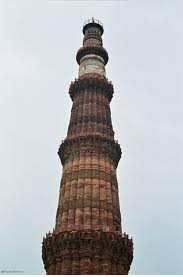 Each minaret was about thirty feet high and with a base of4x4 meters. 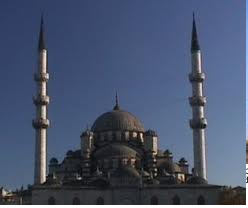 The minaret is definitely an original architectural concept introduced to the world by the Muslims. Since its early development, Muslim architects and engineers developed various materials and techniques to construct minarets across the Muslim world, allowing for local designs to blend gracefully with the environments. 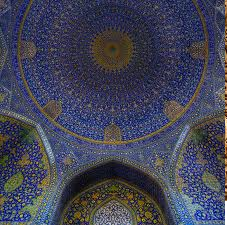 The dome is also an area where Muslims made original contributions. 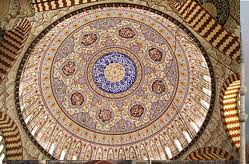 Although the concept of the dome existed before Islam, it is in the architectural design and construction of the dome that Muslims contributed towards. An example of one such contribution is the construction of Star Ribbed domes where a set of parallel arches to used to support the dome. 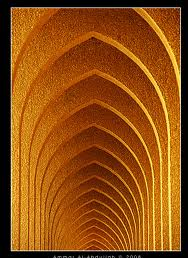 These arches are rotated, and are offset from the center so that the apex does not become the main join. The rotated parallel arches provide visual elegance and serve to load balance the weight of the dome. The Star Ribbed dome was first introduced in Spain with the building of the dome on the Great Mosque of Cordoba in 784 CE, where four parallel arches were used that resulted in eight-pointed star designs. 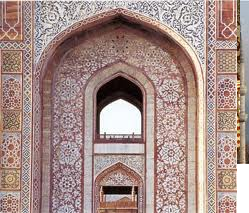 This design became very popular with Muslim architects as it provided balanced proportions and stunning appearances. Later on, twelve-sided and sixteen-sided stars were also used. The number of rotations increased over time and produced domes with twenty four, thirty two, forty eight, and sixty four rotations. 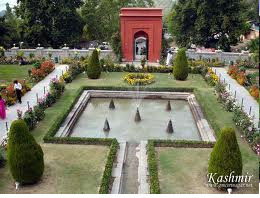 The Muslims also developed the madrassa concept that perhaps became a blueprint for many educational institutes like the modern day college and the university. The madrassas were designed to be self-contained; meaning that they were architected to house classrooms, rest areas, prayer area and sometime a courtyard. Later on, living quarters were added for students who came from far lands. 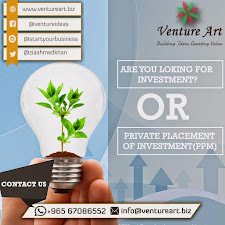 Muslims were pioneers in the field of education, and they started to establish education institutes in the very early period of Islam. The Guinness Book of World Records considers the University of Al Karaouine, established in 859 CE in Fez, Morocco, as the oldest continuously operating institution of higher learning in the world . 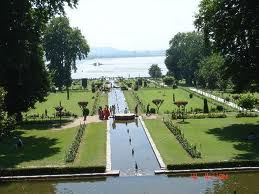 The Muslims took exceptional interest in the architecture and landscaping of the public gardens. 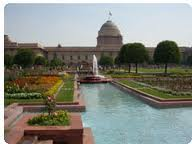 Darted across many parts of the Muslims world from Spain to India, there are fabulous gardens that were once a joy to visit, rest and play. The innovations in architecture were also extended to the home. 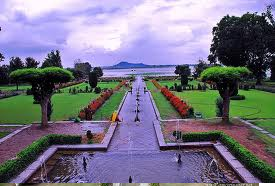 Islamic way of life stipulated that privacy of the individual is of paramount importance, thus, the home became the focus for design innovations. 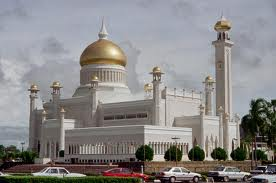 A typical Muslim house was built on a rectangular shape with a central courtyard, and with external high walls. Normally there were no windows on external walls; if there existed, they were situated high so that passersby cannot see inside of the house. This reflected the importance of the interior space was important, not the outside. The interior were also designed to keep male and female quests separate as free social mixing between non-related people is not allowed. Thus, there were separate quarters for men and women. Another interesting fact to note is that the Islamic governments constructed rest areas along the main travel routes. This was in line with the duty of the Islamic government to look after its citizens. 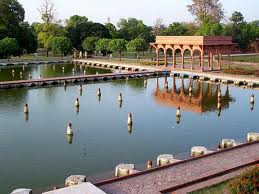 The architecture of these rest areas reflected the needs of the travelers; they consisted of rooms for sleeping and shelter, water supply, a mosque and other essential requirements for travelers. Remains of these rest areas are found even today all over the Muslims world. Calligraphy has always been very special for the Muslims. This is due to the fact that the Quran has been revealed as a book, thus it was written for its preservation, and for the subsequent transmission of the Quran and the hadith to the world beyond the Arabian peninsula. 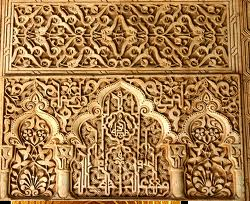 The Muslims displayed great deal of ingenuity in the science of calligraphy, often extending the work from paper to stone, wood and metal.